Born in Slidell, LA, and a 2002 graduate of Pearl River High School, Sergeant Michael Guillory enlisted in the Marine Corps in 2003. Sgt. Guillory began his Marine Corps career as a Combat Engineer and was meritoriously promoted to Corporal. In 2007, he passed the Basic Reconnaissance Course and became a Reconnaissance Marine. Sgt. 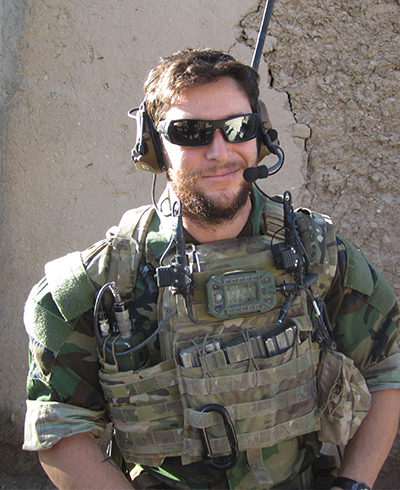 Guillory joined MARSOC in 2009 and was assigned to 1st MSOB, Camp Pendleton. Sgt. Guillory deployed in support of both Operations Iraqi Freedom and Enduring Freedom. He was a Black Belt in the Marine Corps Martial Arts Program and an expert swimmer. While on deployment to Afghanistan, Sgt. Guillory was on a routine airdrop resupply mission as part of a Village Stability Operation in Puzeh when the side-by-side all-terrain vehicle he was traveling in rolled over, causing him severe head trauma. He was rushed to a local hospital but was not able to be resuscitated. Sgt. Guillory’s personal decorations include a Navy-Marine Corps Achievement Medal, a Combat Action Ribbon and two Good Conduct Medals.